Jean E. Pendziwol is an award winning Canadian author. Born and raised in northwestern Ontario, she draws on the culture, history and geography of the region for inspiration for her stories. An instant national bestseller, Jean's debut adult novel was released in July of 2017. The Lightkeeper's Daughters is an affecting story of family, identity, and art that involves a decades-old mystery. Vividly drawn, Lake Superior is almost a character in itself, changeable yet constant, its shores providing both safety and isolation. Published by HarperCollins in North America, the book will be released in fourteen other languages around the world. ​Also published in the summer of 2017 is Jean's ninth book for children, Me and You and the Red Canoe (Groundwood Books). Featuring vintage-inspired artwork by first time illustrator, phil, the book joins an award-winning collection of stories inspired by life in northern Ontario, including Once Upon a Northern Night which was shortlisted for the Governor General's Literary Award and the TD Children's Literature Award. For more details, click PICTURE BOOKS. Jean's writing career began with the publication of No Dragons for Tea: Fire Safety for Kids (and Dragons) (Kids Can Press, 1999). In this rhyming picture book, she set out to provide an entertaining, engaging, and accessible way to convey important safety information to children. It inspired three more books featuring the bumbling dragon, covering topics including water safety, stranger safety, and bullying. Two titles from the Dragon Series were featured in McDonald's Canada's happy meal program in 2017. Find out more about DRAGON SAFETY. 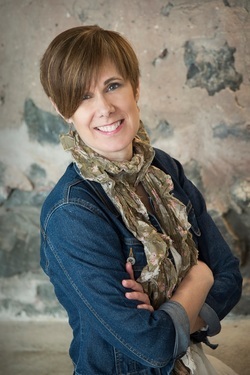 Jean's adult novel is represented by Jenny Bent of The Bent Agency.